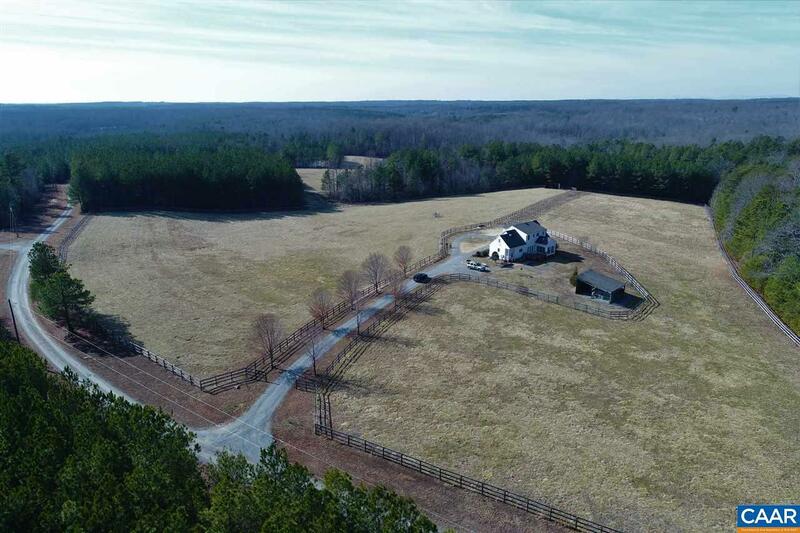 Meticulously designed equestrian property between Charlottesville & Richmond. Min. to I64 & Rte 250. Farm astutely fashioned for low maintenance, efficient utility & versatility of use. Currently, perfect for both prof. and hobbyist alike. 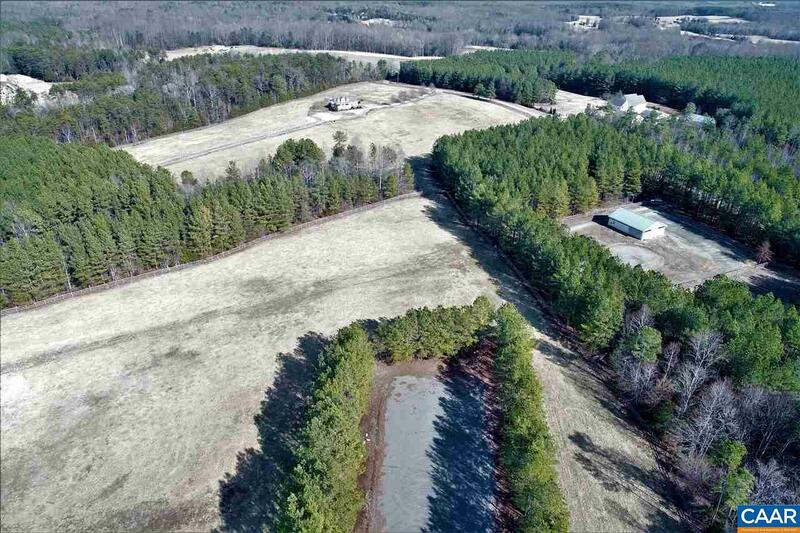 Ideal for the prof. training facility, boarding facility or a breeder's sanctuary offering protected fields & privacy. 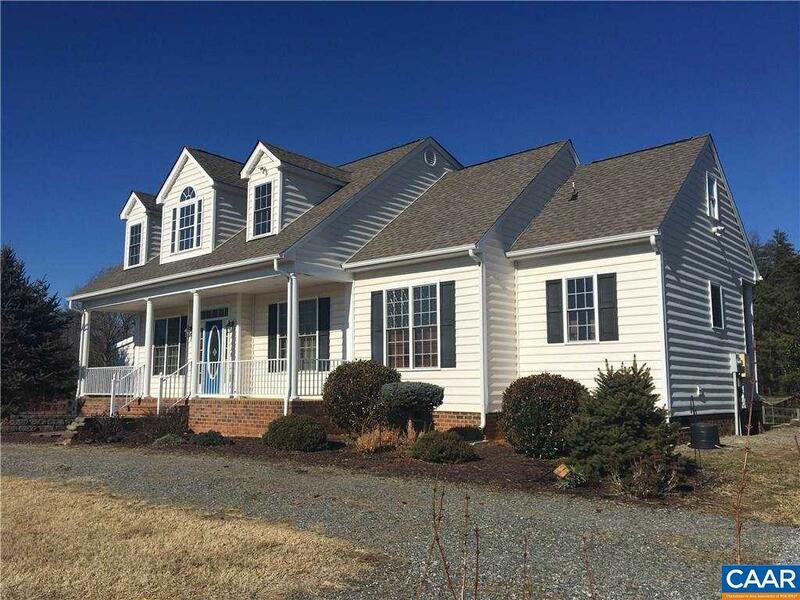 Inviting custom built 3 BR, 3.5 BA cape on approx. 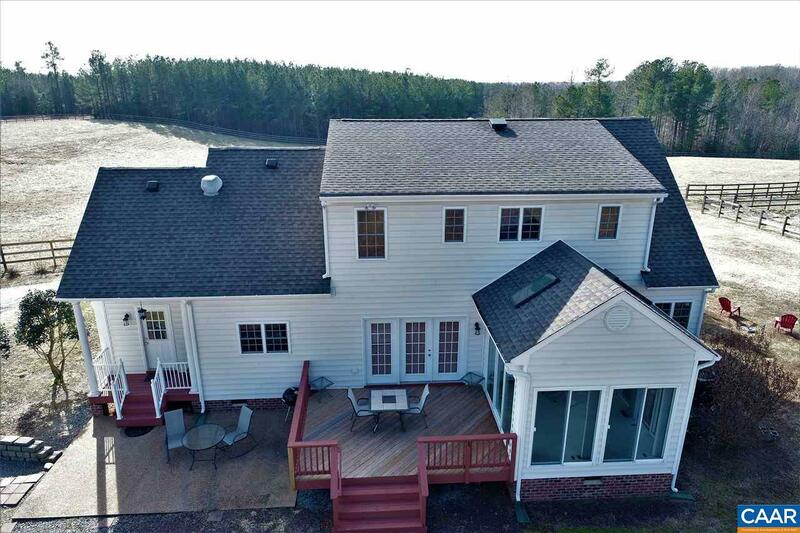 40 acres in a bucolic setting. Highlights of residence include open floor plan w/ 1st floor MBR, sunroom, 2nd floor BR w/ new Trex balcony, , auto. generator, instant HWH and ext. utility room (heated) for easy access. See additional "Farm Features" document by scrolling thru pics.